Management of hotel waste in Australia: with tourists and business travellers having more accommodation options than ever covering hotels, motels, guest houses and also Bed and Breakfasts and of course new entrants such as AirBnB, the importance of waste management in hotel and accommodation focused businesses is growing. Many smart companies are putting some effort into reducing their costs for management of hotel waste, but maybe even more so – improving their environmental image and responsibility. There is a growing movement for more environmentally and socially aware travelling such as Sustainable Tourism – this could also help you attract customers. The New South EPA has produced a useful fact-sheet for accommodation businesses (management of hotel waste) indicating how they can increase recycling the hotel waste – see linked here. 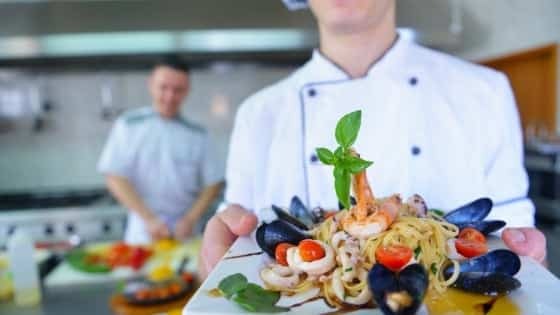 The document sets out how the management of hotel waste can involve a real focus on how to reduce food waste in hotels and implementing sensible services and recycling options. “Sort through a typical waste bin in a hotel or guest house and you will find 40 per cent filled with paper and cardboard, 20 per cent with hotel food waste and 15 per cent with bottles, cans and plastic . All of these materials are recyclable. That means more than half of the material currently thrown out with the rubbish could be recycled instead of going to landfill. By putting these materials in the correct recycling bins your business could save money via a reduced hotel food waste management charge. The message from this breakdown is that a business can easily increase their recycling to c.75% whilst significantly reducing spend on waste management. At Waster – we always suggest that you implement the easiest solutions first. In the context of improving hotel waste management practises – we would say implement cardboard and commingled collections first. The next step will be improving your hotel food waste management. This will be trickier – and could involve using organic food waste bins, a waste to water machine etc – after donating as much food to charity as possible. Some hotel chains are really focusing on reducing hotel food waste – such as Accor. A reduction in food waste – can also be used as good marketing to help grow your business. How can Waster help with waste management in hotel industry in 2019? Waster offers all waste and recycling services (such as recycling Sydney to businesses throughout Australia on flexible 30 day agreements – meaning you get great prices and never need to worry about signing a long term contract again. You can also see our waste and recycling for offices options. Rubbish Removal Adelaide: How To Reduce Costs As EPA Levy Increases! Sanitary bins: How To Book Your Service Online in 2018! Waste Management Geelong: Arrange Geelong Bin Collections Online Today!